While a career in Respiratory is fulfilling in and of itself, it doesn’t come without its share of challenges. Respiratory Therapists in all locations face a multitude of ethical dilemmas each and every day. Let’s take a closer look at what ethics mean for today’s healthcare professionals and some of the best practices to implement to become an ethical Respiratory Therapist, according to standards set by the AARC. 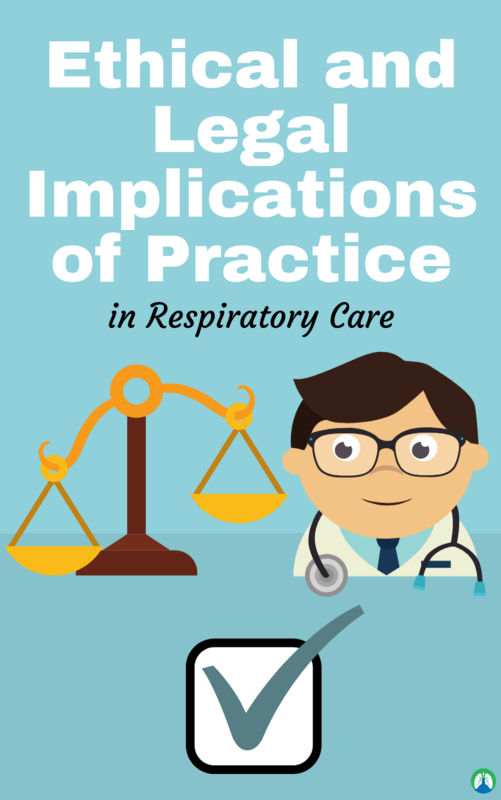 Also, keep in mind, for students — this information correlates well with Egan’s Chapter 5 on the ethical and legal implications of practicing Respiratory Care. You may find the practice questions listed below to be extremely useful. 1. Always aim to demonstrate a behavior that supports objectivity, reflects integrity, and fosters trust in the Respiratory profession. Be honest. That’s what it all boils down to, basically. Integrity is the quality of being honest and having strong moral principles in everything you do. Trust your co-workers to fulfill their job duties competently and you do the same. 2. Always aim to seek educational opportunities to improve and maintain your professional competence and document your participation accurately. This is required so you might as well embrace it. Life-long education is important in all aspects of life. We should always strive to be gaining knowledge and learning new skills. This applies to our job as well. Depending on the state of your licensure, you will be required to obtain a certain amount of CEUs, or continuing education units, each year. This not only something everyone should do, we must do it if we want to keep our licenses. Also, seek out inspiration. Read books on the subject that will motivate you to be better in your career and life. We put together a list of the best books for medical professionals. 3. Perform only those procedures or functions in which they are individually competent and which are within their scope of accepted and responsible practice. Basically, stay in your lane. You wouldn’t want a nurse to stick an ABG for you, so you shouldn’t be trying to start an IV for them. You get the idea. Even if it’s something small, if it’s not within your scope of practice, don’t do it. 4. Always protect and respect the legal and personal rights of the patient. This includes the right to privacy, informed consent, and any refusal of treatment. This goes without saying but always keeps the patient’s information private. 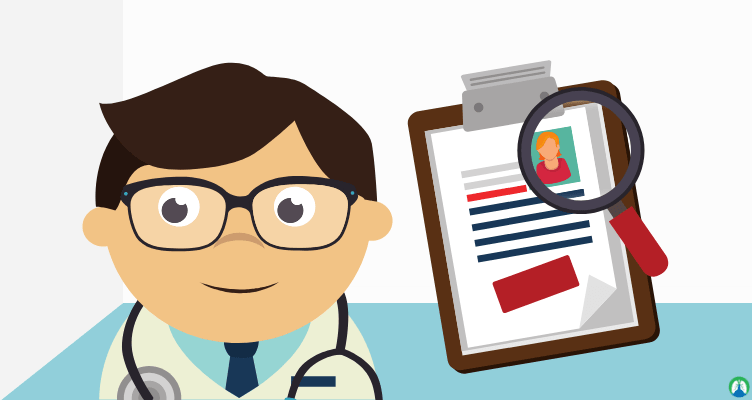 Employees disclosing patient information happens far too often, unfortunately. Also, patients do have the right to refuse a treatment. If they really, like really need care, you may have to work to get consent from them. Sometimes you really have to explain how important it is for them. But if they absolutely refuse, you can’t do it. You can check out the article we wrote on how to deal with difficult patients for more information. 5. You must divulge no protected information regarding any patient or family unless disclosure is required for the responsible performance of duty authorized by the patient or family, or required by law. This one is similar to the last one. Don’t share any patient information, without consent, unless it’s required by law. 6. You should provide care without discriminating on any basis, with respect for the rights and dignity of all individuals. You should treat all your patients as equals and provide necessary care to each. A rule of thumb I always go by is this: treat the patient as if it were your family member lying there. Provide care as you would if it were your parent or grandparent. Because they are someone’s family member. 7. Always promote disease prevention and wellness. Just do your part for disease prevention. It’s not hard. Wash your hands when you’re supposed to. Scrub in, scrub out. Wear proper PPE as necessary. 8. Refuse to participate in all illegal or unethical acts. I mean… yeah. Don’t go off doing illegal stuff at work. Got it? Seriously, though. Don’t steal from your employer. Don’t take meds (i.e. don’t give yourself breathing treatments at work). Don’t show up to work under the influence. Use common sense and you’ll be fine. 9. Refuse to conceal the illegal, unethical, fraudulent, or incompetent acts of others. Report these actions to your superiors. This one is probably hard, especially if it is a co-worker who is also a friend. But if you catch them slippin’, especially if their actions can bring harm to the patient, it is our duty to report these actions. 10. Always follow sound scientific procedures and ethical principles in research. Are you performing any sort of Respiratory Therapy research on the job? Well then make sure you are following the proper scientific processes when doing so. Don’t cut corners. Do it the right way. 11. Always comply with your state or federal laws that govern and relate to their practice. No matter what state you’re in, we all pretty much will be following the same set of rules referring to how to do our jobs. Some state may differ some. In general, do what you’re supposed to do, when you’re supposed to do it and you will be fine. 12. Always avoid any form of conduct that is fraudulent or creates a conflict of interest. Strive to always follow the principles of ethical business behavior. This one is similar to a few of the others on the list. Just don’t lie, cheat, and steal. As far as business ethics go, this one can be tricky for us as Respiratory Therapists, because we generally carry out the orders of others (doctors, nurse practitioners, etc.). For instance, the doctor orders breathing treatments every four hours on a patient who doesn’t need them and doesn’t even take the treatments at home. Why? Is it to make money? Do we give the treatments anyway? It’s a slippery slope. Always try to do the right thing. 13. Always promote health care delivery through improvement of the access, efficacy, and cost of patient care. Do your part to make your organization (hospital or healthcare facility) run as smoothly as possible. And never charge a patient for care that wasn’t given. 14. Encourage and promote appropriate stewardship of resources. Stewardship is an ethic that embodies the responsible planning and management of resources, and our job is to be a steward. We must look out for our patients. We must manage resources properly, which means keeping track of our equipment. Always make sure everything is stocked properly. Make sure there are plenty of mechanical ventilators and BiPAPs available. It’s part of the job. Now let’s dive into some practice questions on the ethical and legal implications of being a Respiratory Therapist in healthcare. 1. If a respiratory therapist refers a Medicare patient to a particular home care company and receives a finder’s fee in return, this is an example of what? This is an example of Medicare fraud. 2. What simple question does ethics try to answer? 3. What ethical issue has recently become a significant concern for respiratory therapists and all health care providers due to a congressional act? The patient’s right to privacy. 4. In most professions, specific guidance in resolving ethical dilemmas is provided by which of the following? 5. The AARC Code of Ethics holds professionals to which of the following principles? Actively maintaining and improving one’s competence, following sound scientific procedures and ethical principles in research, promoting disease prevention and wellness, striving to improve the access, efficacy, and cost of patient care, and respecting and protecting the rights of the patients they treat. 6. Contemporary ethical principles have evolved from all of the following sources EXCEPT? 7. The primary guiding principle in contemporary ethical decision-making includes which of the following? Nonmaleficence, autonomy, justice, and role fidelity. 8. Which ethical principle obliges a respiratory therapist to uphold a patient’s right to refuse treatment? 9. A healthcare professional who withholds the truth from a patient, saying it is for her own good, is engaged in what? 10. What ethical principle can be used to justify the pain that might occur in drawing blood from a patient for a diagnostic test? 11. The debate over prolongation of life vs relief of suffering in elderly patients mainly involves differing opinions regarding what ethical principle? 12. What type of advanced directives can patients use to help resolve ethical dilemmas involving their life-sustaining care? Durable power of attorney, and a living will. 13. Under what conditions can the principle of confidentiality be breached? When the welfare of the community or a vulnerable individual is at stake. 14. The moral basis for rationing health care services falls under what ethical principle? 15. Which of the following has played a major role in increasing the cost of health care? 16. When a respiratory therapist defers a patient’s questions about a condition to the attending physician, what ethical principle is being practiced? 17. A clinician who justifies support for withdrawing life support from a patient because “in the end, it would be best for all involved” is applying what ethical viewpoint? 18. A clinician who justifies not billing a poor patient for services rendered because “that’s what a professional should do” is applying what ethical viewpoint? 19. Before making any ethical decision, one should take which of the following actions? Identify individuals involved, identify what ethical principles apply, identify who should make the decision, and consider the alternatives. 20. The division of public law includes which of the following? 21. What branch of law is concerned with the recognition and enforcement of the rights and duties of private individuals and organizations? 22. What is the term for a civil wrong committed against an individual or property, for which a court provides a remedy in the form of damages? 23. Which of the following is necessary to validate a claim of professional negligence? The practitioner owed a duty to the patient. The ” was derelict with that duty. The breach of duty was the direct cause of damages. Damage or harm came to the patient. 24. In a case of professional negligence, all of the following are required to support a claim of “res ipsa loquitur” EXCEPT? Evidence must exist to show that the defendant acted with malfeasance or intent. 25. A respiratory therapist who participates in active euthanasia is committing what type of malpractice? 26. A respiratory therapist who practices below a reasonable standard of care is committing what type of malpractice? 27. A respiratory therapist who engages in a questionable business practice is committing what type of malpractice? 28. All of the following are considered intentional torts EXCEPT which of the following? 29. When a practitioner performs a procedure that involves physical contact without the patient’s consent, it can result in what charge? 30. Which of the following is/are legitimate defenses against an intentional tort? Lack of intent to harm a patient; and informed consent given by the patient. 31. A physician specifies an incorrect dose in a Rx for a powerful bronchodilator drug to be given to an asthmatic patient. When the respiratory therapist gives the dose, the patient suffers a fatal response, and dies. Based on the principle of duty, against whom could a suit of negligence be brought? Everyone involved; the respiratory therapist, attending physician, and the dispensing pharmacist. 32. What does PHI stand for? 33. What legal doctrine holds superiors responsible for the actions of their workers? 34. What conditions are necessary to incur liability under the doctrine of respondeat superior? The injury caused must be the result of an act of negligence. The act must occur within the subordinate’s scope of employment. 35. All of the following are common elements in a professional practice act EXCEPT? 36. What is an advanced directive? It is put in place if the patient is not able to make decisions about medical treatment in the future. Wrongdoing that is considered to be intentional. This principle acknowledges patients personal liberty and their right to decide their own course of treatment. Placing another person in fear of bodily harm. It raises the do-no-harm requirement to a higher level; health care workers to contribute well-being of their patients. 41. What is benevolent deception? The truth is withheld for the patient’s own good. 42. What is a breach of contract? Failure to carry out the terms of the contract. 43. What is compensatory justice? The recovery for damage by the action of others. Respect the patient’s right to privacy; health care workers are not permitted to share the patient’s medical history with others. The act is judged to be right or wrong based on its consequence, which aims to promote the greatest general good. 46. What is a decision-making model? Combines formalism, consequentialism, and modern decision-making theory. 47. What is distributive justice? The proper allotment of benefits. 48. What is the double effect? The first intent is good; then it’s harmful (unintended). 49. Ethical dilemmas in respiratory care often involve what? The scope of practice, confidentiality, working within levels of professional responsibility, professional development issues, staffing patterns, and/or recordkeeping. 50. When do ethical dilemmas occur? When there are two equally desirable or equally undesirable choices. This may also involve situations that are either legal or illegal. The viewpoint that relies on rules and principles; an act is justifiable if it upholds the rules or principles that apply. 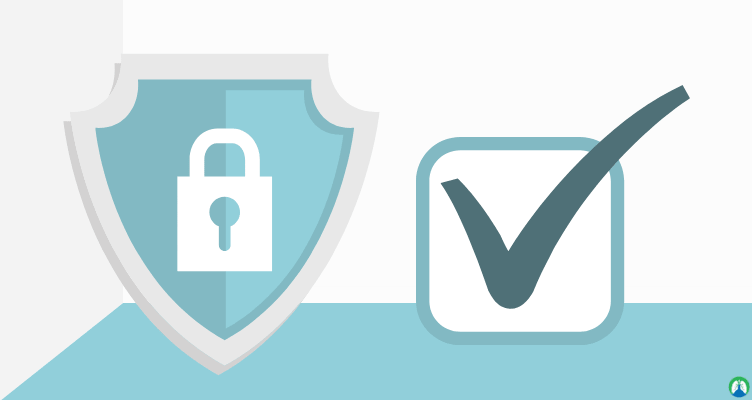 The act (1996) to establish standards for privacy of individually identifiable health information; the basic goal of the act was strike a balance between protecting individuals health information and not impeding the exchange of information needed to provide quality health care. 53. What is informal consent? Consent to treat a patient. An ethical viewpoint that there are certain self-evident truths, usually based on moral maxims. Fair distribution of care; a balance must be made between expenses and the ability to pay for them. The written defamation of character. 57. What is a living will? A patient’s health care preferences in writing. 58. What is negligent tort? It is failure to perform one’s duties competently as a health care provider. It obligates health care providers to avoid harm when possible; the problem occurs when the treatment has serious side effects or a double effect. 60 What is a plaintiff? Someone who brings a complaint. 61. What is res ipsa loquitur? It is a rule of evidence of negligence. 62. What is role duty? To have a duty to understand the limits of their role and to practice with fidelity. The respiratory therapist must not perform duties outside their defined role. 63. What is rule utilitarianism? A rule for the greatest good of a person. Civil wrong against an individual or property for which the court provides a remedy. It is an act that violates another’s interest. It binds the health care provider and the patient to tell the truth. 67. What are professional codes of ethics ? Guidelines established to identify ideal behavioral parameters by members of a professional troup. It deals with behavior over which there is little disagreement. 68. What are the four Ds” of Negligence? (1) Owes a duty to the patient. (2) Was derelict with that duty. (3) Breach of duty was the direct cause of damages. (4) Damage or harm came to the patient. 69. What are the three malpractice classifications? (1) Criminal malpractice: assault and battery or euthanasia handled in criminal court. (2) Civil malpractice: below a reasonable standard. (3) Ethical malpractice: violations of professional ethics and censure or disciplinary actions by licensure boards. 70. What are the two basic ethical theories? 71. What are the two general defenses against intentional torts? (1) There was no intent to do harm. (2) The patient gave consent to the action, knowing the risk involved. 72. What do civil or private laws protect? Private citizens and organizations from others who might seek to take unfair and unlawful advantage to them. 73. What does a professional license provide? It provides a framework under which a licensee carries out his or her duties. It also acts to define who can perform specified duties. It is expected that the duties will be performed in a professional manner to provide safety. 74. What does administrative law deal with? It is the second major branch of public law for government agencies. Health care facilities are inundated by a host of administrative and agency rules that affects almost every aspect of operation. 75. What does civil law deal with? The recognition and enforcement of the rights and duties of private individuals and organizations. 76. What does criminal law deal with? Acts or offenses against the welfare or safety of the public. 77. What does the public law deal with? The relationships of private parties and the government. 78. What ethical information should be gathered before making an ethical decision? Identify the problem or issue and the individuals involved, as well as the ethical principle or principles that apply. Identify who should make the decision and what is the role of the practitioner. Consider the long-term and short-term consequences. Make a decision, even if it is a decision not to act. Follow the decision to observe its consequences. Failure to perform one’s duties competently; commission or omission. It is the standard duty of the individual to not cause risk or harm to others. 80. What is professional malpractice? It is negligence in which a professional has failed to provide the care expected, resulting in harm to someone. Some examples include performing tasks beyond the practitioner’s skill level, failure to perform duties that were assigned, or failure to perform the duty correctly. 81. What is the problem with veracity centered around issues with benevolent deception? Withholding the truth from the patient for his or her own good; in most cases, telling the truth is the best policy. 82. When should patient information be discussed? Only in private and with persons who have a legitimate reason and need to know. Thank you so much for reading our guide on the ethical and legal implications of practicing in Respiratory Care. Ethics are extremely important in healthcare — especially in the field of Respiratory Therapy. Now, hopefully, you are more equipped to do your job in an ethical manner. Each Respiratory Therapist has different job duties and requirements, but it’s safe to say that if we follow the tips from this list, we will have no trouble meeting the ethical standards that are required. This will ensure your longevity as an ethical Respiratory Therapist, now and forever. Breathe easy, my friend! Respiratory Therapist vs Nurse: Which job is better? What are the Dress Code Requirements for Respiratory Therapists?